When repairs are just not enough, Northwest Plumbing Company has you covered. When you need a new plumbing fixture installed or you just want to upgrade to a more modern choice, call the plumbers that Knoxville has come to rely on ~ Northwest Plumbing Company. We specialize in the repair or installation of plumbing fixtures including showers, bathtubs, sinks, faucets, toilets, water heaters, or most major appliances. Whether you need a new kitchen or bathroom fixture repaired or replaced, our friendly staff of expert technicians are ready to help you. The service department at Northwest Plumbing Company performs residential, commercial and industrial repairs and installation. We have fully stocked service trucks with state of the art tools in your area right now. 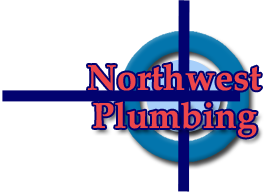 If you are having any problems with your plumbing fixtures, Northwest Plumbing Company can repair or replace it. Our expert technicians are highly experienced in working with homeowners, condo associations, hotels, restaurants, and management companies. 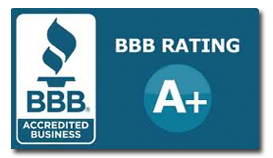 If you are in the market for any new plumbing fixture including bathtub, shower, sink, faucet, toilet, water heaters, or Northwest Plumbing Company of Knoxville can install it for you at a price that can not be beat. When you need a plumber in Knoxville, there is only one choice _ Northwest Plumbing Company. 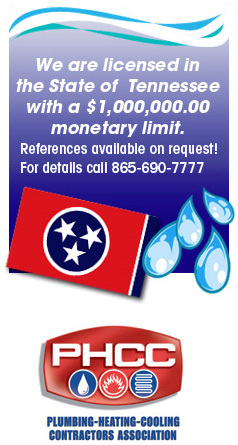 CALL Northwest Plumbing Company TODAY AT Phone: 865-690-7777. Do you want to completely update the look and feel of your bathroom? Are you tired of showering in a dingy and depressing shower stall? Do you lack the necessary funds to completely renovate your bathroom? A full bathroom remodel can be an expensive and time-consuming process. However, you do not need to plan and execute a full-scale remodel to completely update the look and feel of your bathroom. In fact, all you need to do to feel like you have a brand-new bathroom is replace your shower head! When choosing a new shower head, there are many questions you should ask yourself and things to consider. First, ask yourself whether or not you would like to lower your water bill. If so, a plumber can recommend one of many water-saving shower heads that are currently available on the market. Once you select the shower head of your choosing, you can install it yourself or contact a Knoxville plumbing expert for assistance. If you elect to install it yourself, we caution you to read the manufacturer’s instructions carefully prior to beginning the project. If you do not install the shower head properly, you may require some rather expensive plumbing repairs down the line.